I have been in hibernation! 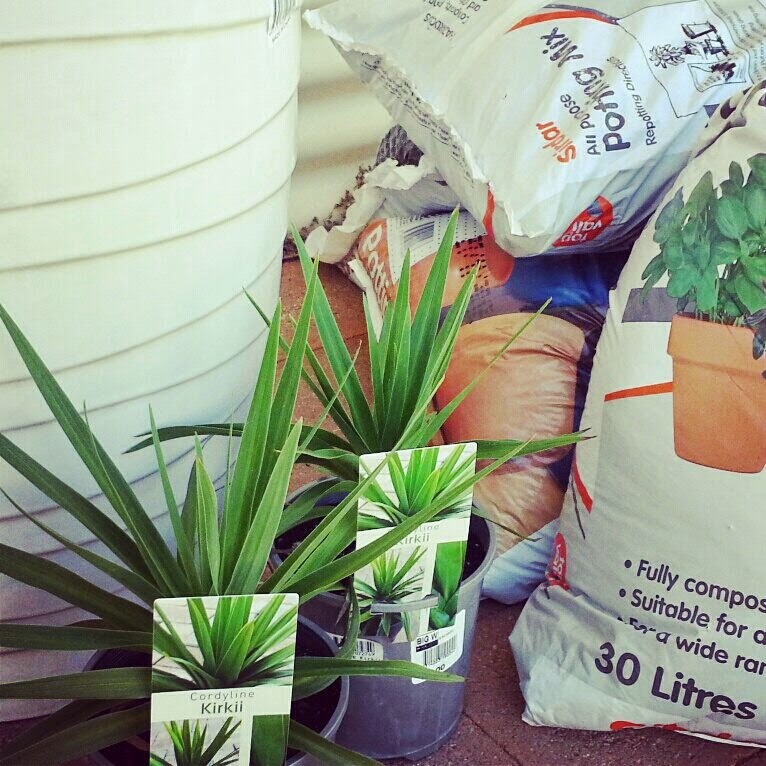 Like much of Australia, it has been hot very hot here over the last few weeks and there has been very little in the way of energetic or constructive pursuits going on in my house. 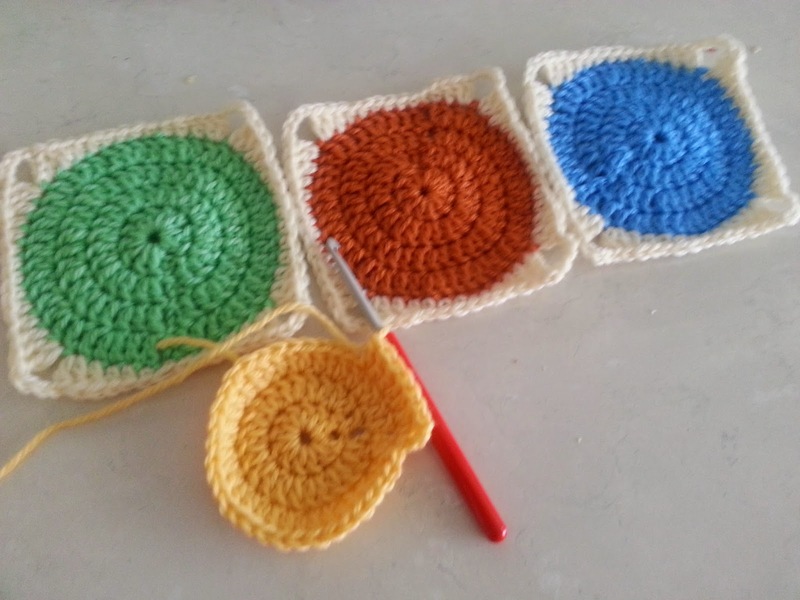 Crocheting baskets that I saw on Pinterest (another good example of time not thinking about the heat well spent) and tracked to this blog Crochet in Colour. Lifeguard duty by the pool and, in the event of extreme heat, in the pool! This beautiful blanket that was inspired by a picture seen on Pinterest. 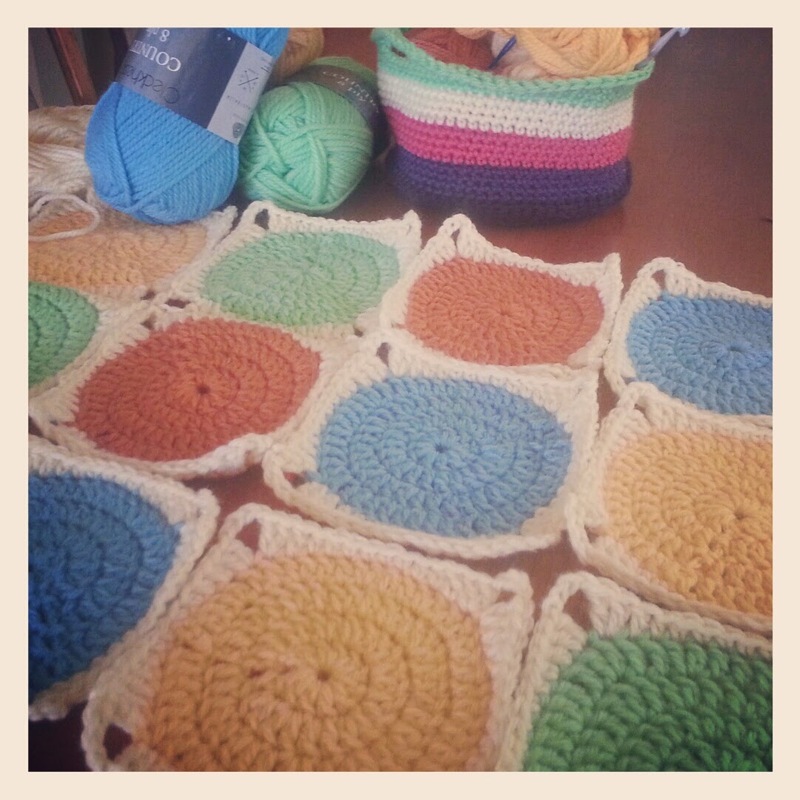 After a little research and a determination to make my own, I worked out how to make these squares and got to work. Much more fun than cleaning! 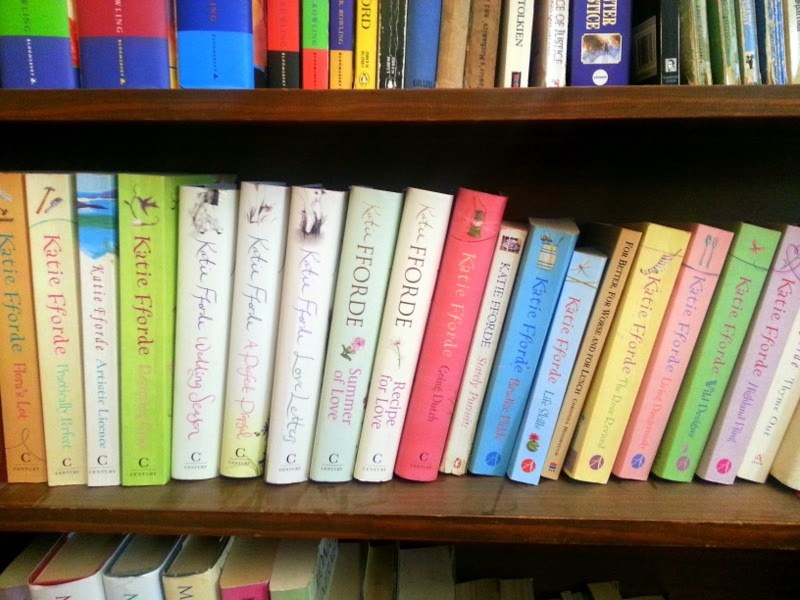 Some days it has been just too hot to contemplate touching yarn so I have been 'dusting' my collection of Katie Fforde books. This is a job that requires careful attention and so I have been meticulously dusting between each page as well! 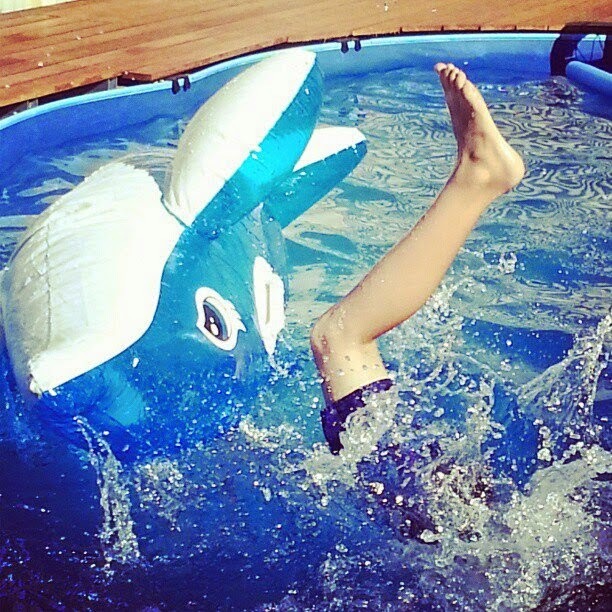 Two more weeks of school holidays left. More summer weather forecast. I intend to make the very most of not having to rush anywhere, having all day to think about what's for dinner, glasses of wine by the pool and napping in the afternoons. Yes, just two weeks! Enjoy. Thank you. 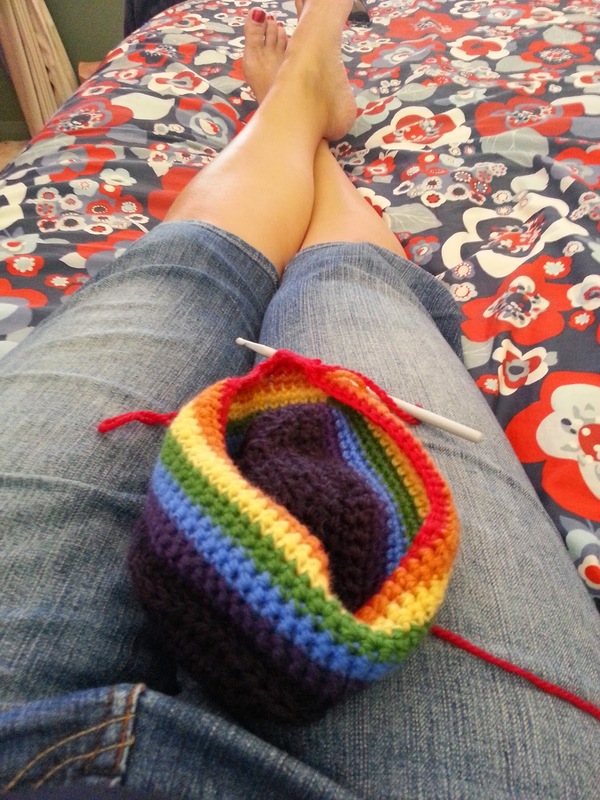 Don't worry, I had many non-relaxing moments while trying to master crochet! That is definitely the only kind of dusting worth doing. Thank you Mrs M. I decided that I needed to learn before the people who could teach me were no longer around to share! Dusting bookcases I suspect, has always been perilous for you Kate! Still mastering an even chain stitch - but love the baskets. Hi, these baskets are absolutely gorgeous. I'm definitely going to have to give them a go, when I've made a decent dent in my ripple blanket. 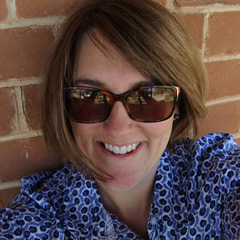 found you via village voices grateful and now following along. gorgeous blog. Thank you Mandy. 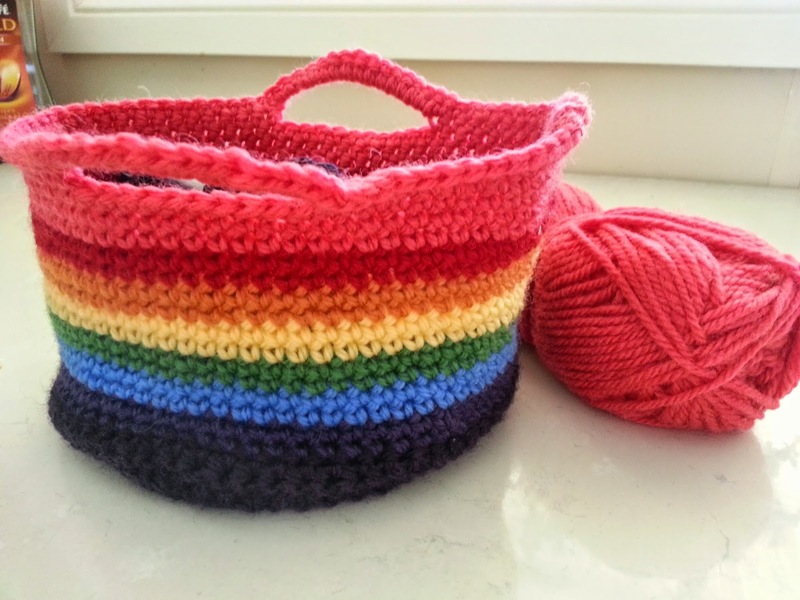 These baskets are very easy and satisfying. Have fun!